Medical technologies have been taking a giant leap in the past years, producing instruments that can monitor, store and transmit data on one’s blood pressure, heart rate, glucose level, reparation or oxygen levels in order to produce better medical diagnoses and surveillance. These instruments can be worn, implanted or ingested and act not only as monitors, but can also manage a lot of things – insulin, heart rate, pains or seizures. Yet while these allow for a better treatment and quality of life, their connectivity to consumer technology raises alarming questions concerning privacy violation and intentional disruption. Cyber medical information can be quite valuable to cyber criminals, being able to sell it for insurance frauds repeatedly and have added value for years, among other imaginable illegal uses. 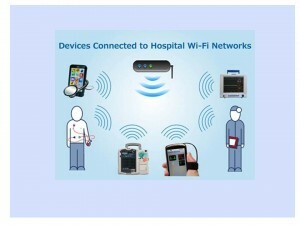 Medical information via connected devices can have great personal benefits, using the Internet as infrastructure for a complete and whole healthcare and assists in improved medical result, better quality of life and lower health costs, but security must be taken into account while using them.